Mires are valuable habitats for specialized animal and plant species and have an outstanding importance for climate protection and biodiversity. 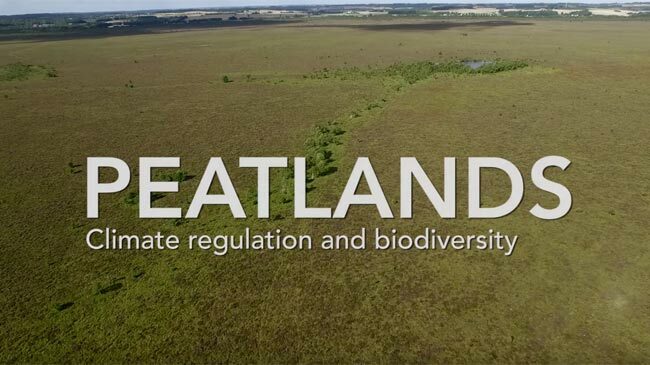 At the same time, peatlands are shaped strongly by utilization. Mires are fascinating but complex ecosystems, functioning only due to the interaction of vegetation, water and peat. The protection of mires and peatlands and a paradigm shift to a sustainable use under wet conditions must be our primary concern. MoorWissen is an information platform of the Greifswald Mire Centre about these topics. Paludiculture (“palus“ – lat. “mire, swamp) is the productive use of wet peatlands. It is an alternative to drained peatland use by preserving the peat layer and reducing greenhouse gas emissions. One example is the cultivation of reed (Phragmites australis) which can be used as building material or for energetic use. Reed for thatching is common in The Netherlands, Poland, Denmark and North-Germany. Further examples are listed in the Database of potential Paludiculture plants.